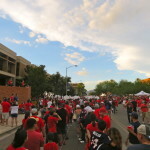 On campus, the laid back atmosphere on University Avenue grows more intense as fans move east past the Old Main building and onto The Mall where tailgating tents and good ol’ college debauchery stretches far into the distance. 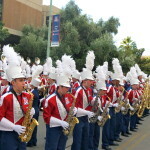 On Cherry Avenue, adjacent to The Mall, the Pride of Arizona Marching Band begins lining up in preparation for the Wildcat Walk. 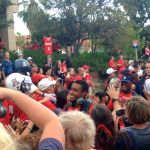 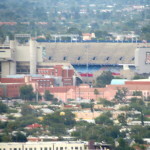 Fans flood the street craning to capture a glimpse of the team as they walk through toward Arizona Stadium. 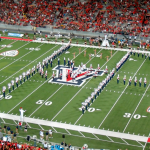 “Fight, Wildcats, Fight!” and “Bear Down, Arizona!” blast from the band as Wildcat backers grow anxious for the impending gridiron battle. 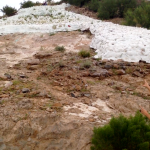 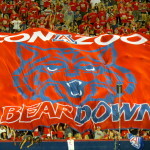 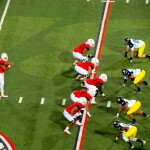 “Bear Down” is a battle cry seen and heard often around campus. 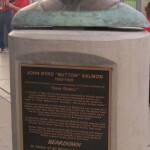 The slogan originated in 1926 when all around athlete and student, John “Button” Salmon, passed away following complications from a car accident. 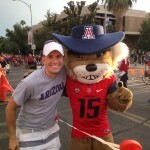 As student body president, baseball player, and varsity quarterback, he was an extremely well-liked fixture on campus. 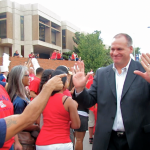 His last words to the football team were “Tell them to bear down.” This phrase spread quickly throughout the campus and community and became a motto symbolizing strength and pride. 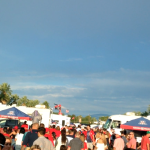 Today, “Bear Down” is hard to miss in Tucson as it is emblazoned on T-shirts, signs, the football field, and even the title of Arizona’s beloved unofficial fight song. 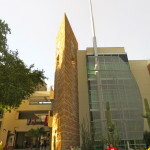 The symbols of pride continue on campus in the tower at the Student Union Memorial Center. 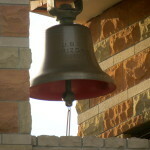 One of the two bells salvaged from the bombing of the USS Arizona at Pearl Harbor is enshrined here. 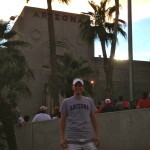 The other is found at the memorial in Hawaii. 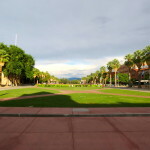 At the heart of campus, this historic bell is rung once a month in memory of those servicemen who lost their lives in the Pearl Harbor attack. 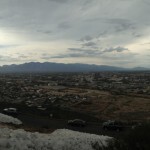 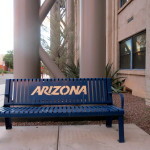 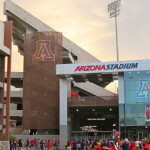 It rings also to symbolize the achievements of the University of Arizona and its community. 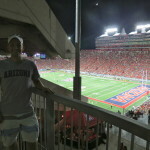 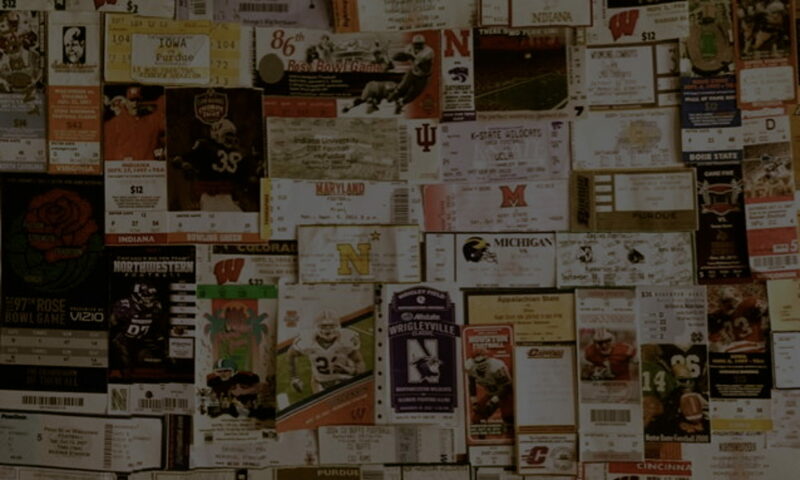 All of this history meets with the present and translates into a wild and raucous atmosphere inside Arizona Stadium. 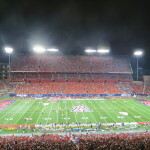 Wildcat fanatics pack this house, creating a harrowing experience for visitors. 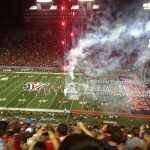 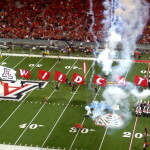 The band forms its traditional “U of A” on the field, and the team explodes out of the tunnel as fireworks blast above. 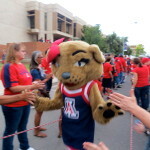 Wilbur and Wilma Wildcat pump up the crowd as the Zona Zoo student section “bears down” like no other. 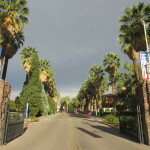 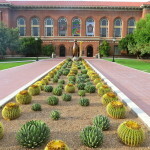 The University of Arizona blends palm trees and cacti just like it marries its carefreeness and passion. 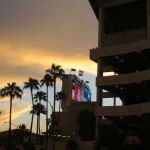 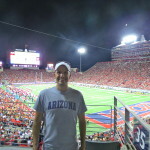 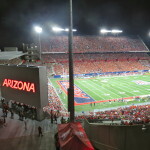 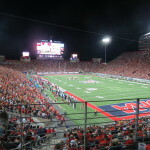 A short desert drive away from Phoenix, Tucson offers a classic college venue with fans that love their Wildcats, and who make the gameday experience at Arizona one of college football’s finest.